WASHINGTON — The U.S. Supreme Court this week refused to hear the appeal of a group of clergy in Washington, D.C., who want to put the city’s new marriage equality law on the ballot. The denial of review appears to be the end of the line now for opponents of equal marriage rights in the nation’s capital. 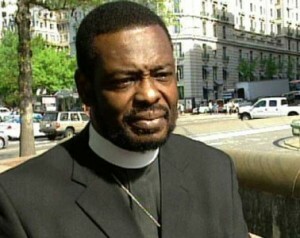 The District of Columbia enacted its marriage equality law in March of last year, but not before a group of clergy, led by Maryland Bishop Harry Jackson, tried to stop the law from going into effect by requesting an emergency order from the U.S. Supreme Court. The high court refused that request, in Jackson v. D.C., but the group came back with this second effort aimed at undoing the marriage equality law. What the group sought, in Jackson v. D.C. II, was a ruling from the high court saying the D.C. government could not bar an initiative regarding whether to repeal the marriage equality law. The question before the Supreme Court, however, was not about marriage on the surface. On the surface, the question was whether the city’s law governing initiatives can bar voters from considering an initiative that violates the city’s human rights act. Important to the case was the fact that Washington, D.C., is not a state but a unique District, controlled by the Congress to serve as the nation’s center of government. But in recognition of the needs of citizens who reside in the District of Columbia and who raise and school children there and require routine services such as fire and police protection, Congress, in 1973, provided for the formation of a D.C. Council to govern its citizens under a “Home Rule Act,” or D.C. Charter. Congress also approved an amendment to the Charter, in 1978, that incorporated the D.C. Council’s laws spelling out how it would govern its own elections, including initiatives. The following year, the D.C. Council then approved the legislation necessary to implement that Charter amendment. And there lies the rub. The implementing law –- the Initiative Procedures Act — stipulated that the Elections Board “shall refuse to accept [a proposed initiative] if the Board finds that it . . . authorizes, or would have the effect of authorizing, discrimination” prohibited under the city human rights law. The D.C. Human Rights Law prohibits discrimination based on sexual orientation so, when the group of clergy sought a ballot measure to overturn its marriage equality law, the city Board of Election refused to accept the measure, and the city’s highest court, the D.C. Court of Appeals, upheld that decision. The Alliance Defense Fund, representing Jackson, Walter Fauntroy, and the other petitioners, argued that this limitation violates the Charter itself, which provides for initiatives. And, after the D.C. Court of Appeals, its last resort was an appeal to the U.S. Supreme Court. When the Alliance initially sought U.S. Supreme Court intervention, it filed a request for an emergency order to Chief Justice John Roberts, who handles emergency requests from the District of Columbia. Roberts denied that request last March and the marriage equality law went into effect on March 3, 2010. “Congress is the source of all legislative power over the District,” argued the Alliance in its petition to the Supreme Court in October. But Congress, dominated in both houses by Democrats, did not use its authority in December 2009 to disapprove of the D.C. Council’s passage of the marriage equality law. Nor did it disapprove of the D.C. Council’s establishment of a restriction on ballot measures, in 1979. But attorneys for the D.C. government, in their brief opposing acceptance of the Alliance’s case by the Supreme Court, said the D.C. Council had authority to enact this restriction as part of the Charter amendment approved by both Congress and the voters of D.C. And they noted Congress had authority to disapprove of the Initiative Procedures Act but did not do so. In order to hear an appeal at the U.S. Supreme Court, four justices must agree to take the case up for review and, generally speaking, the case must present a question concerning federal law. However, as in the case of California’s Proposition 8, state laws can end up in federal court when they are challenged as violating some federal constitutional provision.